Over 40 million people per year move to a new residence–but the process doesn’t come without risks. Lifting heavy objects, using sharp packing knives, and navigating tight spaces could lead to a serious injury. 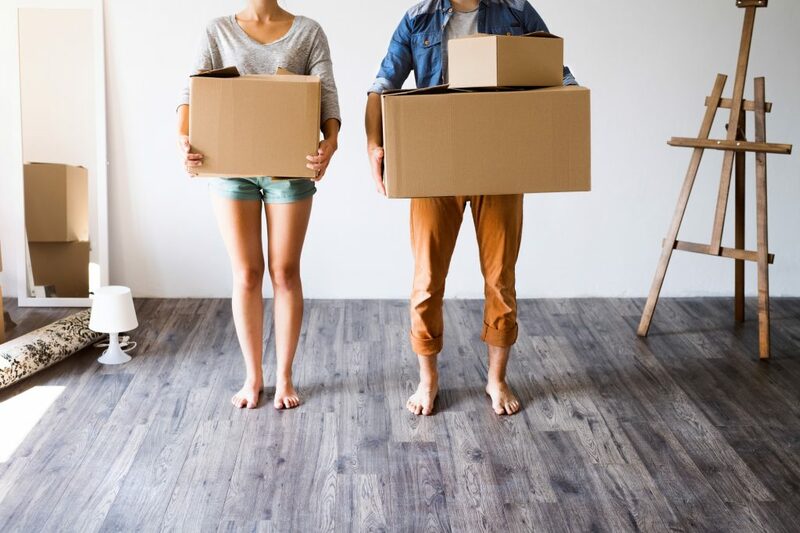 Unless you’ve prepared for moving day and know what it takes to stay safe, the day of the move could prove to be more dangerous than you expected. Here are some of the most important moving safety tips that you should keep in mind. When the big day arrives, be sure that you’re wearing the appropriate clothes and shoes. They should be flexible, breathable, and loose-fitting. You don’t want your clothes to be baggy, but you should have enough room to move around comfortably. Strong footwear is the most important part. Be sure to wear closed toed shoes with a good level of support and traction on the soles. Don’t wear anything with a high heel or open toes. It might be tempting to pack as much into one box as you possibly can. But just because you can fit over 100 pounds of books or equipment into a box doesn’t mean that you should. Moving boxes are only designed to hold a certain amount of weight. Exceeding this amount can put pressure on your back, knees, and other joints. Pay attention to the guidelines listed on the box and keep it under the limit. If there are no guidelines, keep these rules in mind. 50 pounds for a small box, 65 pounds for a medium box, and 70 pounds for a large box. When it comes to lifting heavy objects, there’s a high risk of injury, especially for the back and shoulders. The safest way to move is to let experienced professionals handle it all, including the heavy lifting. But if you’re managing the difficult task on your own, it’s important that you know the proper lifting techniques. First of all, you need to have a solid grip on the object. If you’re having trouble getting a good grip, try wearing gloves with traction. Always keep your back straight while you’re lifting. Bend your knees to lift instead of your back. Keep objects centered on your body–which is typically close to the waist–to maintain your balance. If you need to turn around while carrying the object, move your feet together with the load instead of twisting your back. Most importantly, if the box is too heavy to carry alone, get a friend or assistant to carry the bo with you. Whether you’re using used or brand new cardboard boxes for your move, they need to be secured before lifting. By avoiding over packing your boxes, you’ll already be lowering your risk of injury. But too much weight can still collapse or tear through the bottom of a cardboard box–regardless of how much you packed into it. To stay safe, use quality packing tape to seal your box. Double seal the bottom and the sides to strengthen the stability of the box before filling it up. One of the most hazardous and challenging parts of the move is trying to navigate large items and boxes out of a confined space. Make sure you plan your exit routes ahead of time–so you don’t get stuck navigating on the spot while carrying something heavy. Be sure that all hallways, rooms, stairs, and outside areas are clear. Remove any obstacles that might get in your way and be sure to measure doorways if you’re not sure you can fit an item through. Remove any scattered boxes or other moving equipment. Also be sure to clean any moisture or debris on the ground to avoid the risk of slipping. An open box cutter or unwrapped knife can go right through a box and into someone’s hand. Be sure to keep box cutters closed when not in use and wrap all knives when they’re not in use to lower the chances of injury. Not taking the time to secure knives, box cutters, gardening supplies, scissors, and more can lead to dangerous cuts. When packing up items like kitchen knives, be sure to wrap them in packing paper or bubble wrap. For more protection, you can wrap it in a dish towel and secure with a rubber band. When it comes to moving large and heavy items without professional assistance, it’s always safer to use proper moving equipment. You can rent or purchase a moving dolly, which is a two or four-wheel appliance that will let you roll items out of your residence without having to lift them. It takes a lot of the weight and pressure off your shoulders and can reduce the risk of injuries or accidents. You can also use a furniture slider, which is a piece of hard plastic and rubber which allows you to slide heavy furniture across the room. Not only does this reduce the strain on the body, but it can minimize the risk of damage to your floors. Protecting yourself during the move is just as important as protecting your belongings. This is why you need to have a solid understanding of basic moving safety tips. With these precautions in mind, you can be sure that your next move will go smoothly–without the added stress of injuries or accidents. Getting ready to move? Looking for professional movers to help you do it? Get an instant quote today to book moving labor nationwide.